Who is in charge of your son's safety? The Boy Scouts of America places the greatest importance on creating the most secure environment possible for our youth members. To maintain such an environment, the BSA developed numerous procedural and leadership selection policies and provides parents and leaders with resources for the Cub Scout program. Youth Protection training is required for all. 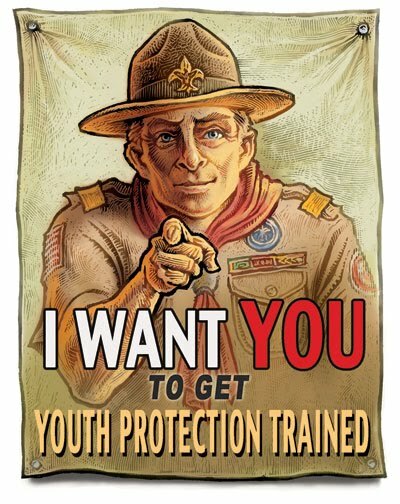 You do not have to be a registered member of the Boy Scouts of America to take Youth Protection training. From the My.Scouting.org portal, click Home then My Dashboard from the menu list. The My Training page displays to take Youth Protection training. This training session takes less than 30 min. Upon completion, you may print a training certificate to submit with a volunteer application. Your training will automatically be updated in our system and associated with the member ID/reference number issued when you created the account. Give your Youth Protection Training certificate to Ivan Dominguez (Bear Den Leader).